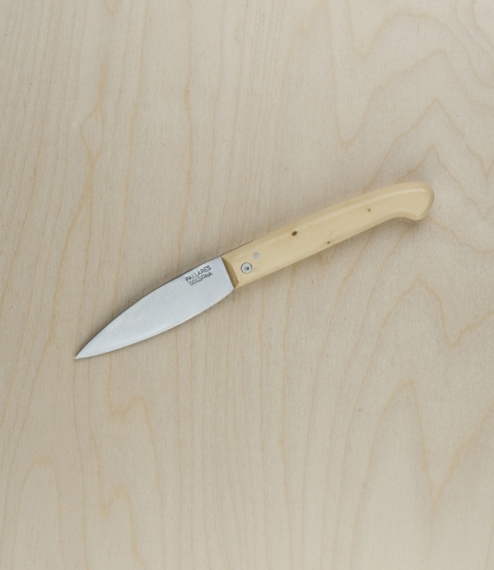 A classic folding knife with a carbon (rustable) steel blade set into a boxwood handle. Made without linings or a bolster just a hinge and stay fixed directly through the wood these epitomise elegant simplicity in both form and manufacture. 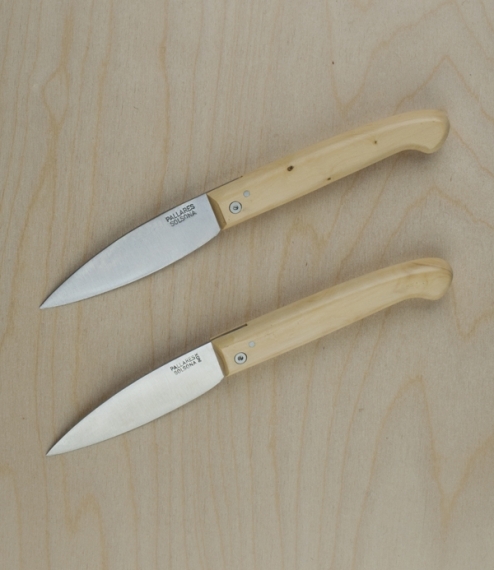 Hand made in Catalonia by Cuchillería Pallarès, the one surviving knife maker in a town once dotted manufacturers. Now with a workforce of 15, the management still split their time between administration and manual craft production. Blade length about 9cm. By electing to purchase this item you are confirming that you are over the age of 18, and that we may if in any doubt contact you prior to dispatch in order to verify this.